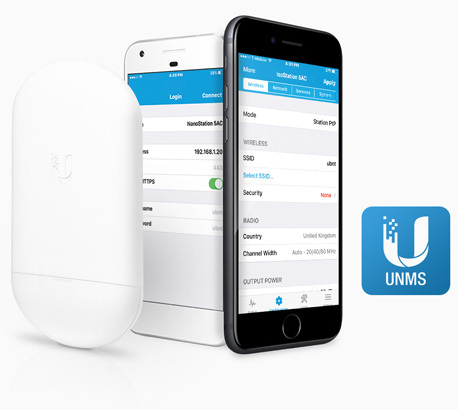 The Ubiquiti NanoStation AC loco integrates airMAX Wireless Access Point (MIMO TDMA protocol) technology and dedicated Wi-Fi management to create a more efficient and compact CPE. The low cost, high performance, and small form factor of the NanoStation AC loco makes it extremely versatile and economical to deploy. The NanoStation AC loco represent the next evolution of the iconic CPE design that revolutionized the Wireless ISP industry. airOS 8 provides powerful features, including airMAX® ac protocol support, real-time RF analytics, and an all-new design for enhanced usability.